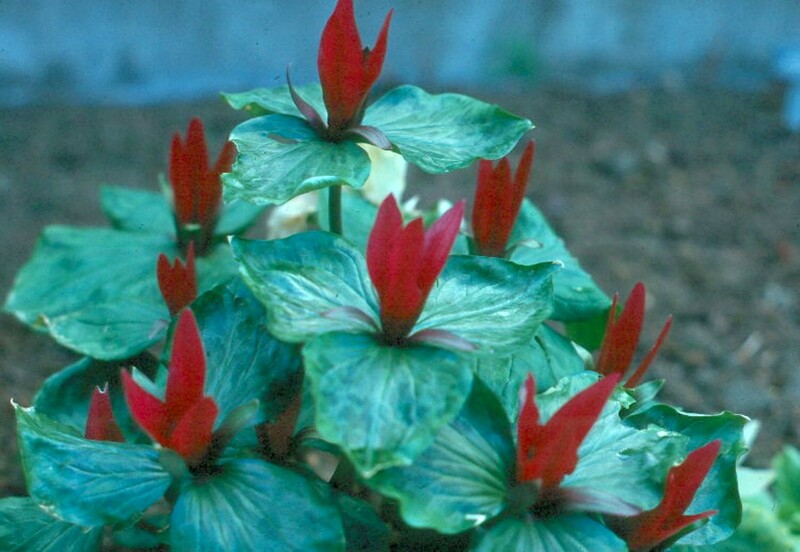 Comments: This is a perennial that is present for a relatively short period in late winter and early spring. There are many different species that grow across the country. Most need a fertile, well drained soil that has been undistturbed and contains a generous of humus that as built up over several years. Plants self-seed. One of the mnost common occurring species is T. foetidissimum, the one that produces solitary maroon colored flowers and green mottled foliage.